I don’t understand Girl Scout cookie pins. I know cookie t-shirts, cookie toys, and I have a large collection of cookie patches. I’m even making a cookie patch quilt. But somewhere between my years selling cookies and my daughter’s cookie season, the cookie pin appeared. Why? 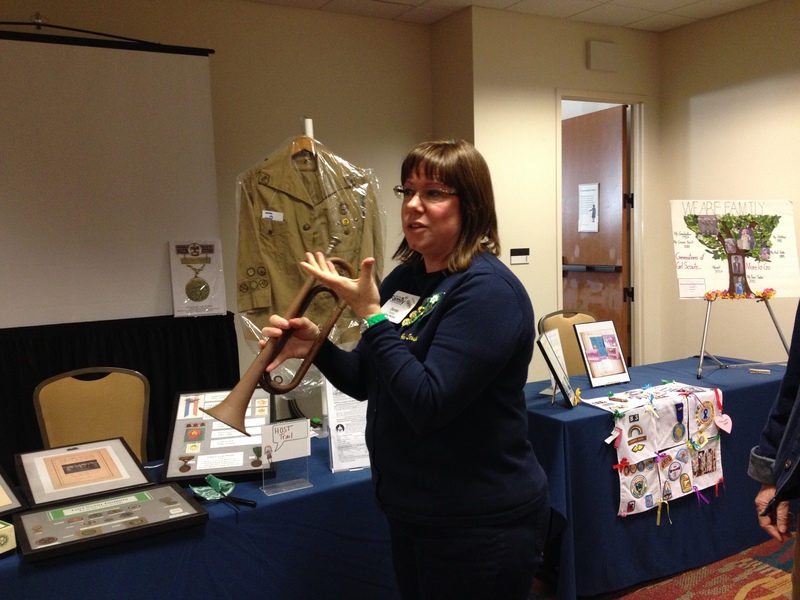 The first cookie pin debuted in the fall 1998 Girl Scout catalog. 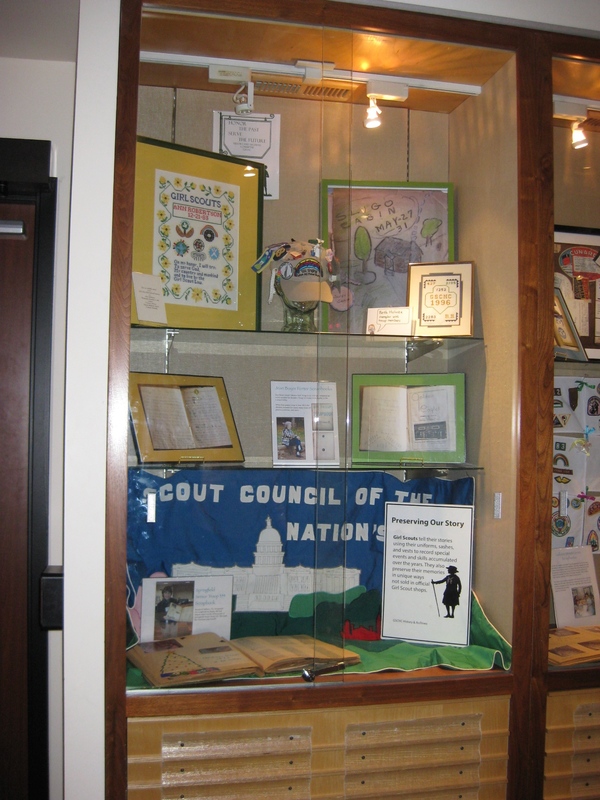 The requirements are in separate activity guides available from GSUSA. The pin is a different color each year, but the year is not part of the pin’s design, which guarantees confusion. I also think that it’s nice to have a cookie prize available to all Girl Scouts. Each baker has their own annual theme, which means rival slogans and different cute cartoon animals across the country. But isn’t that what the various cookie badges do? 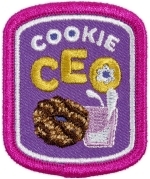 Three cookie themed badges–Cookies Count (Brownies), Cookie Connection (Juniors), and Cookies and Dough (Cadettes and Seniors)–were introduced in 1997. Why add a repetitive set of ugly pins the next year? How are they different? 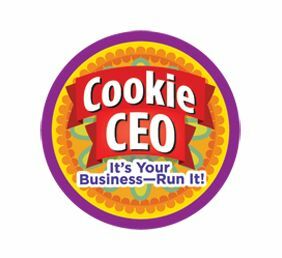 A second badge for Juniors, Cookie Biz, was introduced in 2004. 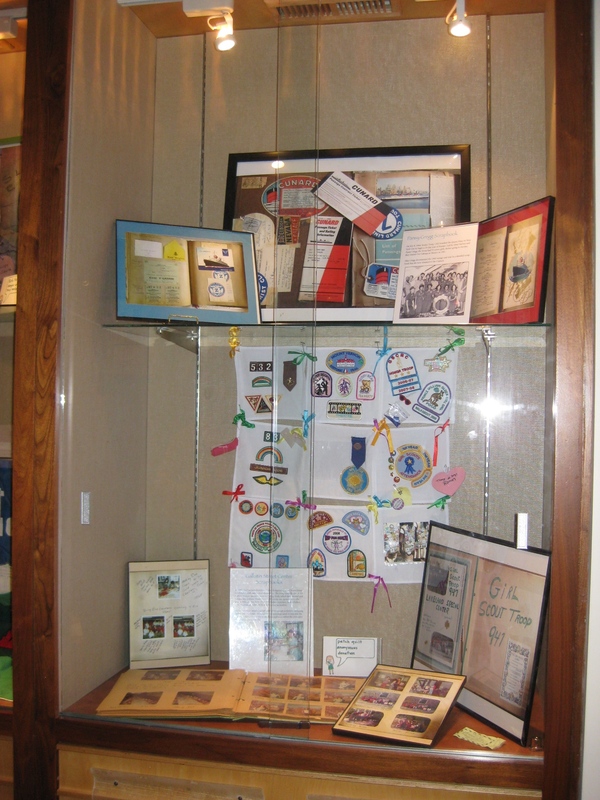 Introduced in 2011, the current Girl Scout Leadership Experience (GSLE) program also has two cookie badges per level. They are the soulless silkscreened variety, using words as a lame design effort. The requirements overlap with the cookie pin requirements, and now some councils are offering their own patch programs with similar requirements and names. The badge in the left is for Juniors, on the right is a patch for multiple levels. But what I really don’t get is why are cookie pins such expensive pieces of junk? I have gotten higher quality jewelry out of gum ball machines. These pins aren’t worth a quarter, much less $2. I haven’t actually counted, but it certainly seems like the number one item that parents are trying to replace in the various Facebook Girl Scout groups is a cookie pin. The pin backs snap off within days of putting one on a vest. Perhaps they jump off and flee in embarrassment. How can a girl possibly earn a cookie trifecta–badge, baker patch, and pin–without double-dipping? * There are just so many ways to practice a sales pitch. Like I said, I just don’t get the cookie pin program. And I’m not going to put them on my patch quilt! My patch quilt. It was supposed to be 100 patches for 100 years but I got carried away. 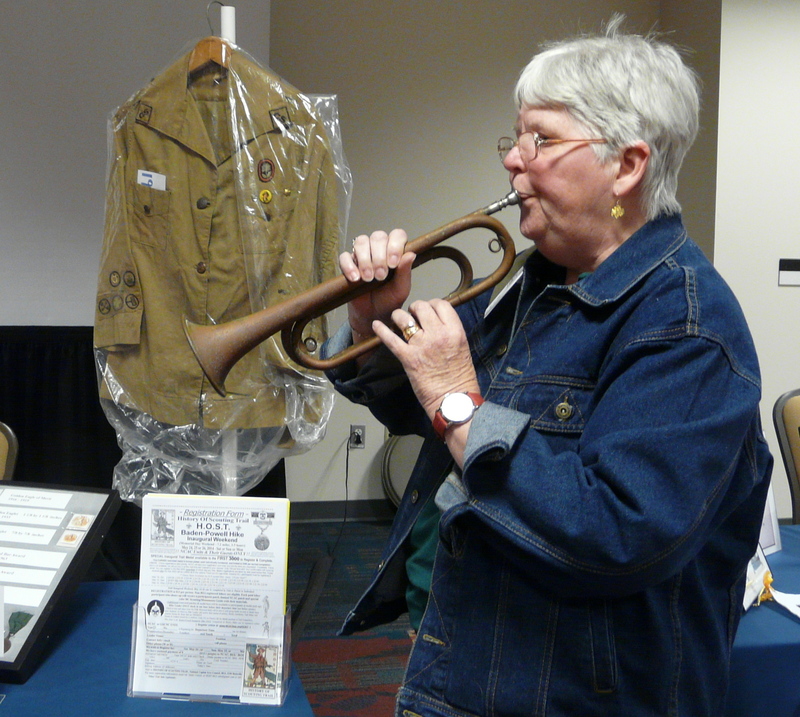 *Double dipping = using one activity toward requirements for two awards.